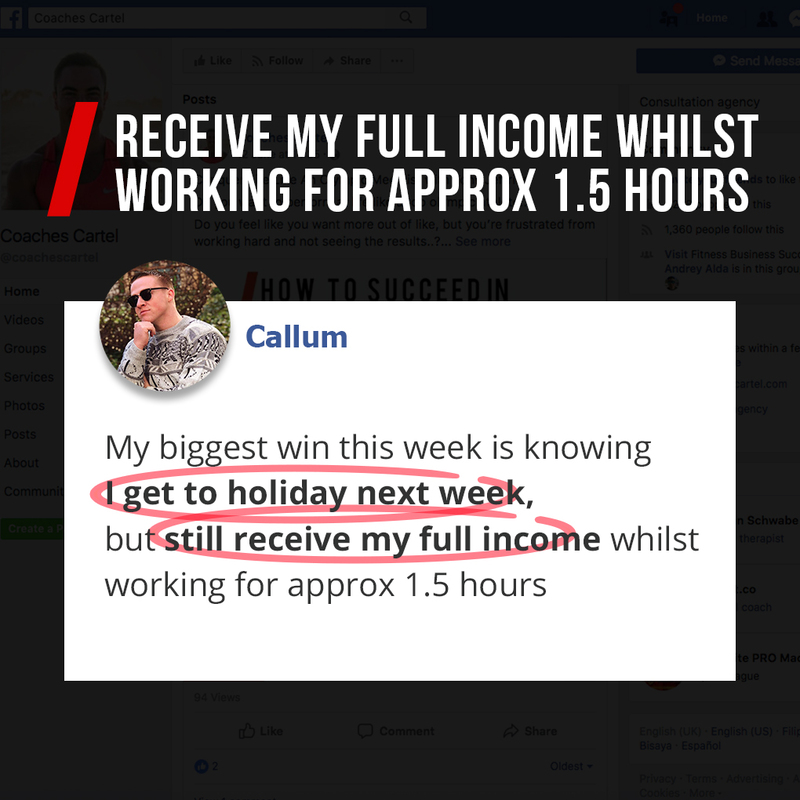 that PAYS YOU to live the life you’ve always wanted? See, if you’re like most personal trainers and coaches you’re stuck in the “time-for-money trap”. 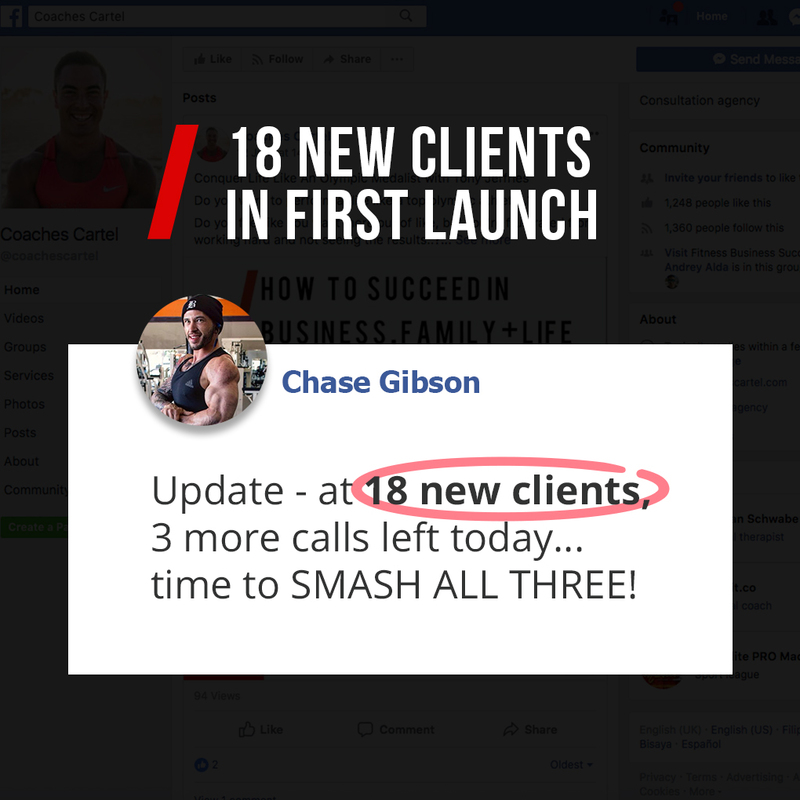 You’re income has ceiling… As the fact is; there’s only so many hours in a day, and only so many 1:1 clients you can train in the gym. You’re working with high-value clients that happily pay you what you’re worth. 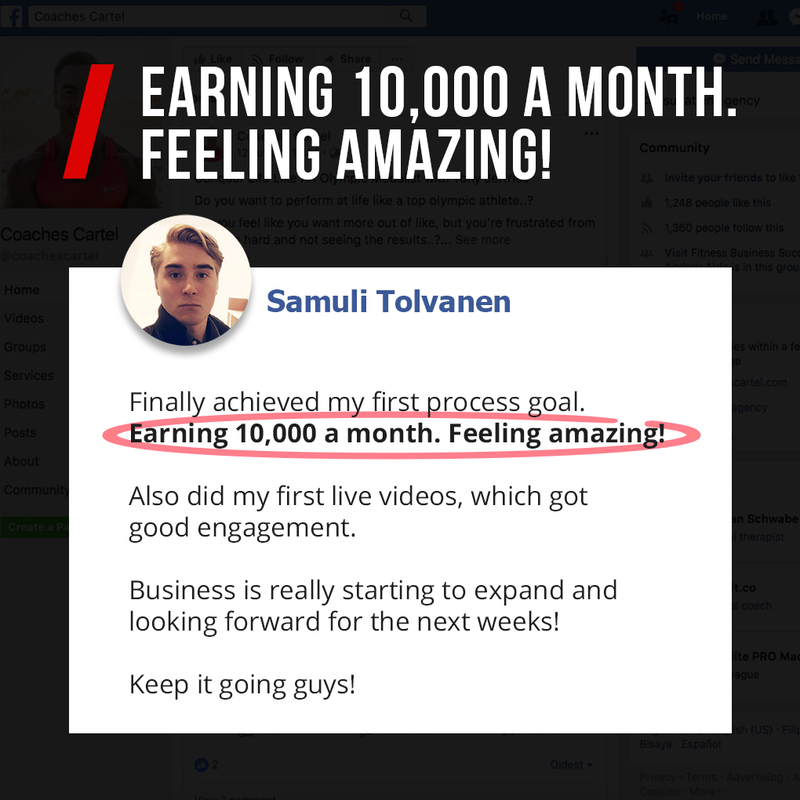 You’re NEW business model generates 2x, 5x even 10x more money (and you can work from anywhere in the world). You’re helping more people with your passion for health and fitness — whilst having the work/life balance you’ve always dreamed of. Do you think this sounds like BS 💩… or too good to be true?. If so. I don’t blame you. Most of the other coaches thought exactly that. That’s why I’m a big believe that the proof is in the pudding. 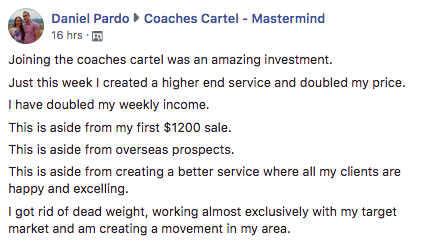 Don’t take my word for it — See what the other coaches are achieving by using my material. See, what I haven’t shared before is that in 2014 I doubled in income. Did I work 2X as many hours? I used the ‘pinpoint’ systems that I got taught to improve the most critical parts of my business. No more was I in the gym training clients from 6am-6pm. Instead I was in my home office choosing my own hours. 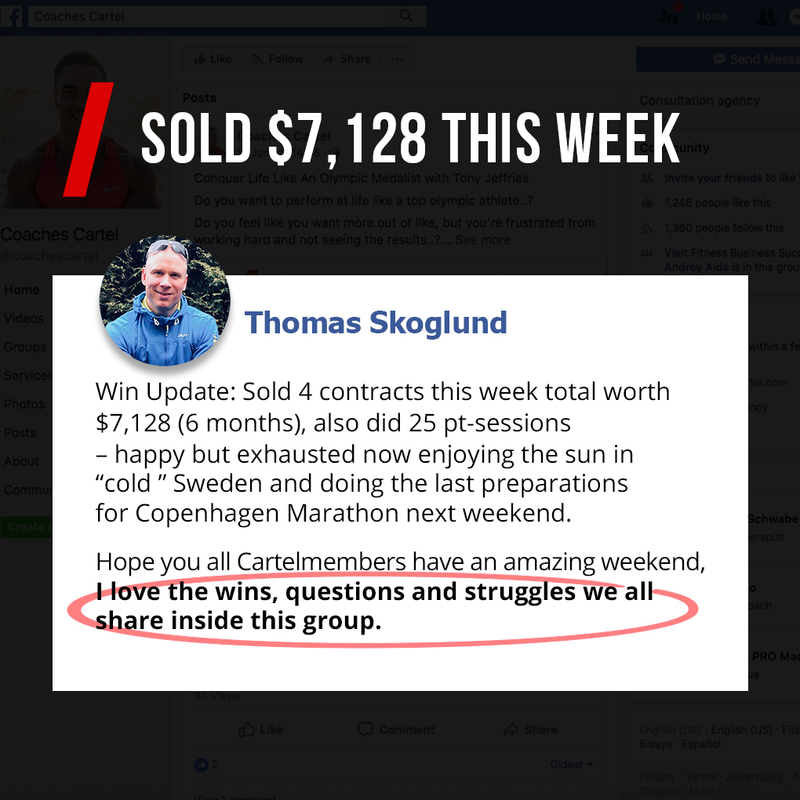 Read on to find out how I did it — and how you can use this same system to discover your “critical growth levers”. it’s funny when you think about when you first started as a coach. Remember how it felt? We we’re nervous… scared… who would ever pay me for my services? How do I find them? What do I say? What do I charge? What if they say no? And yet, we took the plunge. We got started. And we started to get some clients. But then… we get stuck. There’s only 24 hours in a day. We can only see a limited amount of clients. Because even with a premium service, there’s a limit to how much you can charge hourly. This is what we call the “time-for-money trap”. You’re selling your most precious asset — .. But even worse, you’re back ‘pounding the pavement’ to find more clients. Some drop off, some go on holidays. And you’re stressing about your income month-to-month. All along in the back of our heads we wonder… “How much longer can I keep doing this?”. At a certain point we find that we’ve built a machine thats running our lives. Anytime you want to have some time off, time with the family, or if you get sick or injured. You’re losing money. If we stop, the entire business, your entire income will grind to a halt. Is there some secret strategy we don’t know about? How do the million dollar coaches do it? The typical advice sounds logical — but there’s a good chance you’ve done it all before, and it doesn’t work. For example, I used to take this advice. I’d try tactic after tactic. 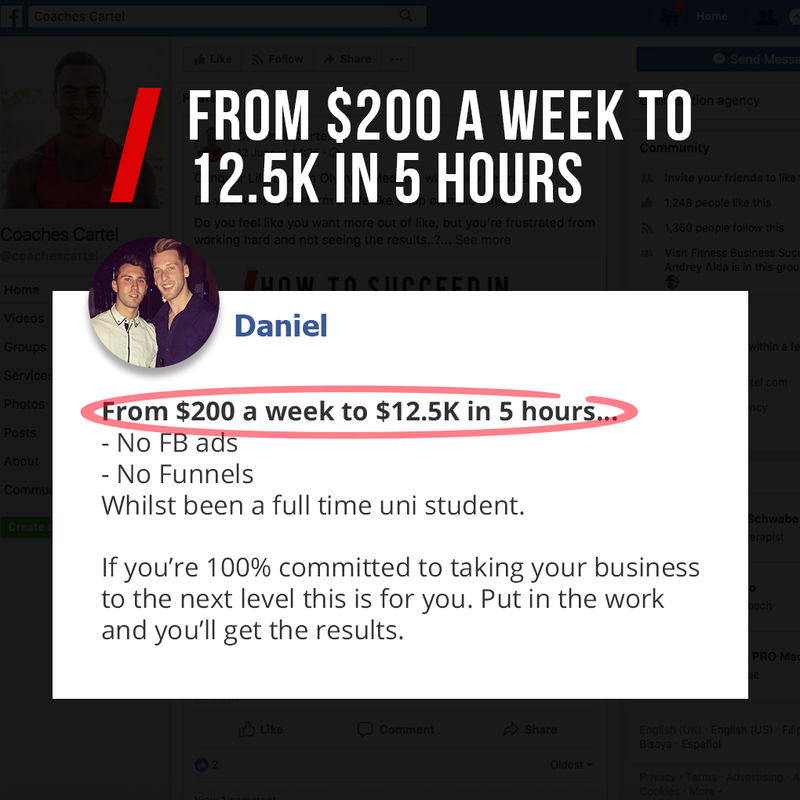 Post on IG multiple times a day, shoot videos, start a YouTube channel, set up Facebook Ads, run a challenge, write an e-book, set up an online membership, get a website, set up a ‘sales funnel’. None of them were working, and I’d blame myself. Maybe I’m doing it wrong, Maybe I’m not trying hard enough. Having a lot of social media followers DOES NOT equal earning money and a successful business. Sorry to say, but there’s enough bum and 6-pack pictures to just a worthless ‘like’ or ‘love heart’ on your post. 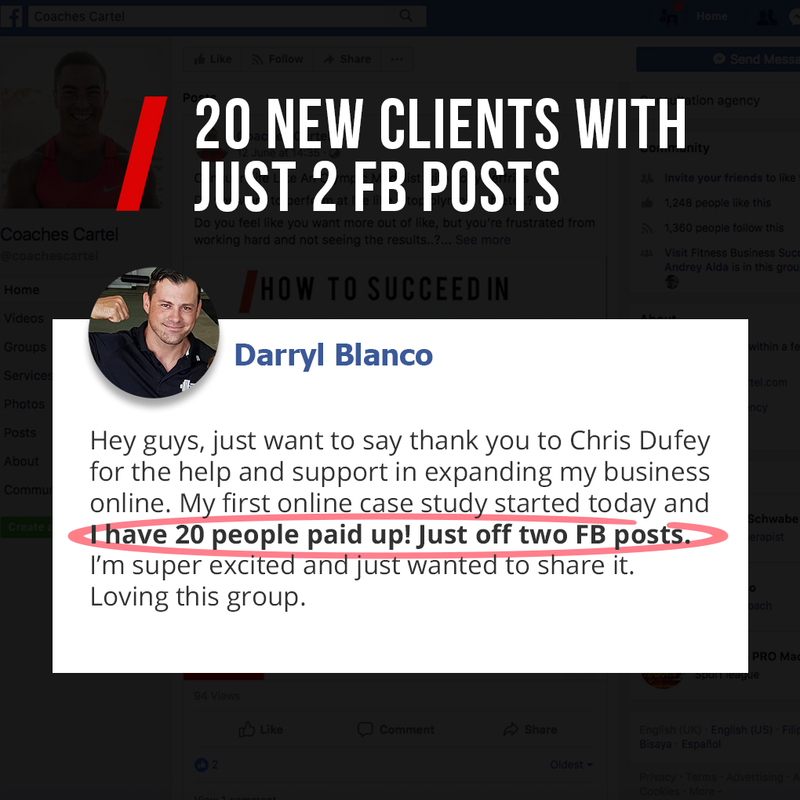 When I started online coaching, I obsessively followers what my competitors we’re doing. What are they selling? What are they posting on social? It drove me nuts, as I would do what they we’re doing and wouldn’t see the results. But years later, I finally got to see ‘behind the curtain’ to the fitness industry. And sad to say, a lot of it is smoke and mirrors. These ‘fitness influencers’ are NOT earning a lot of money. Many art even earning a living off it. I’d been comparing myself to the wrong people all along. As Personal Trainers. 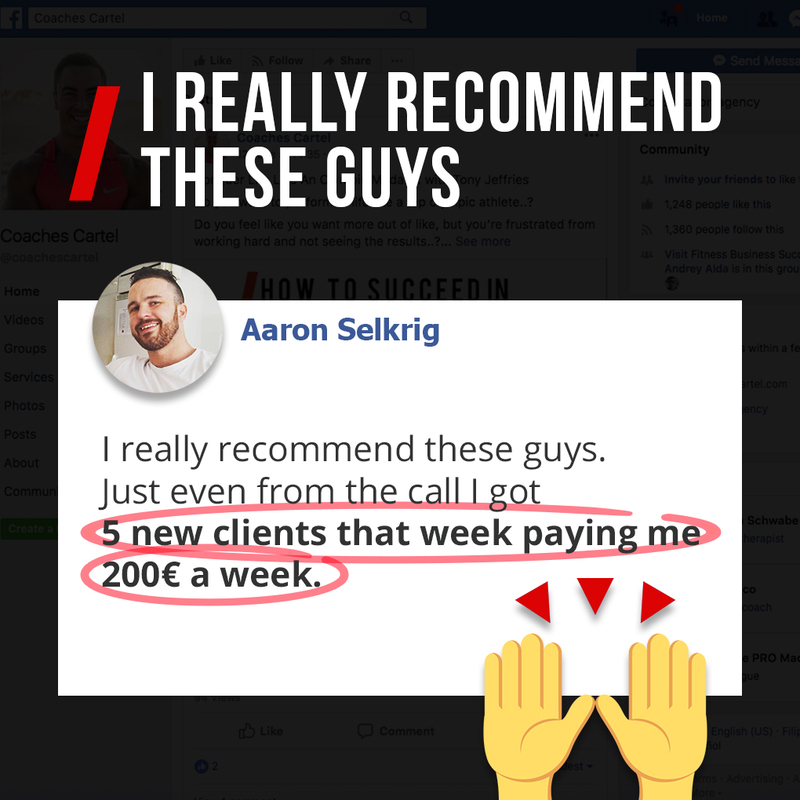 Let’s talk about “those” clients. We’ve all had them… clients who – God love them – are a pain in your neck. The thing is, these clients are probably great people who honestly don’t mean to make your life difficult. It’s not their intention to throw their hard earned money away. And, really, they DO want the best for their health. So, if you have ‘nightmare’ clients, I’m sorry to say this but… It’s probably YOUR fault. 1) You haven’t pre-qualified them properly. 2) You’ve taken them on as a client because you’re desperate for money. 3) You haven’t on-boarded them properly. That is, they are going to get real results from your service. 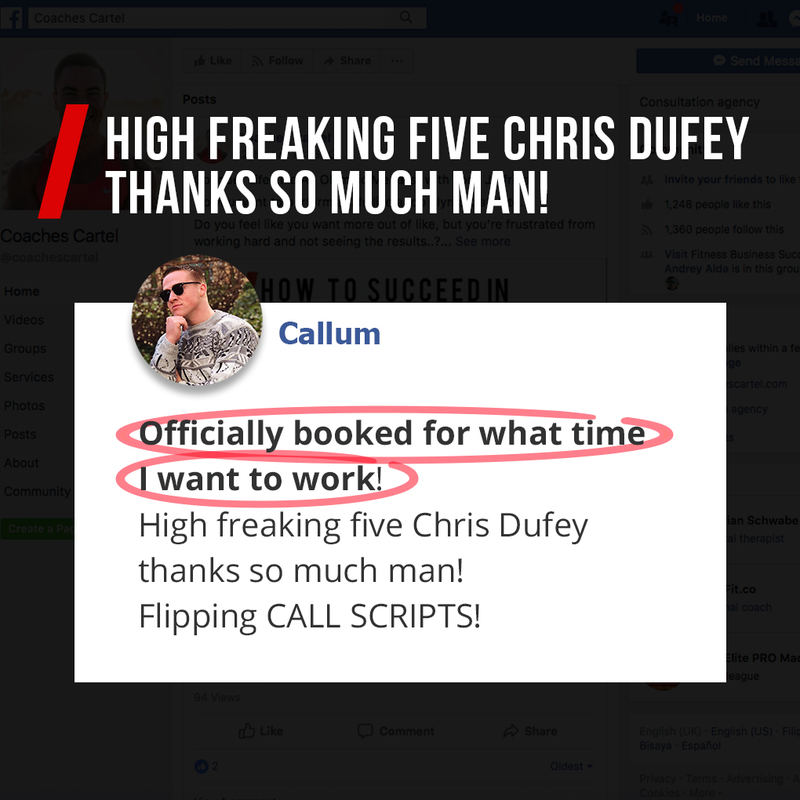 Because the people who get real results turn into testimonials and case studies (turning you into the “go-to” coach). 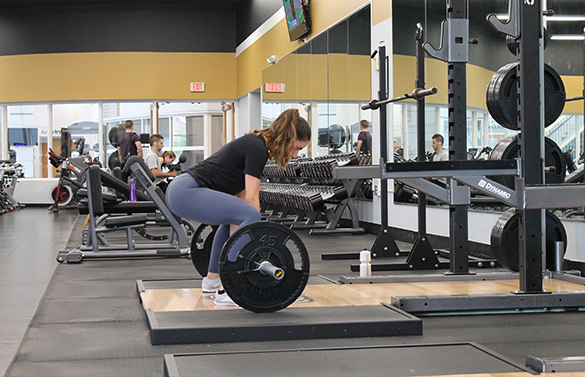 Not a single trainer goes into business to work with clients they loathe (and who don’t enjoy working with THEM). 1. Make your branding and marketing messages 100% magnetic for your “perfect client”. 2. Have a “Fit Or No-Fit” policy when leads come through… and ONLY take on the clients you want. 3. Set their expectations for when and how communication will happen… you don’t want to be answering text messages on a Saturday night about whether they should have a pizza or not. Your client has just handed a lot of money over to you – they need to know you are taking 100% care of them. YOU are the professional; they hired YOU for a reason. THEM). 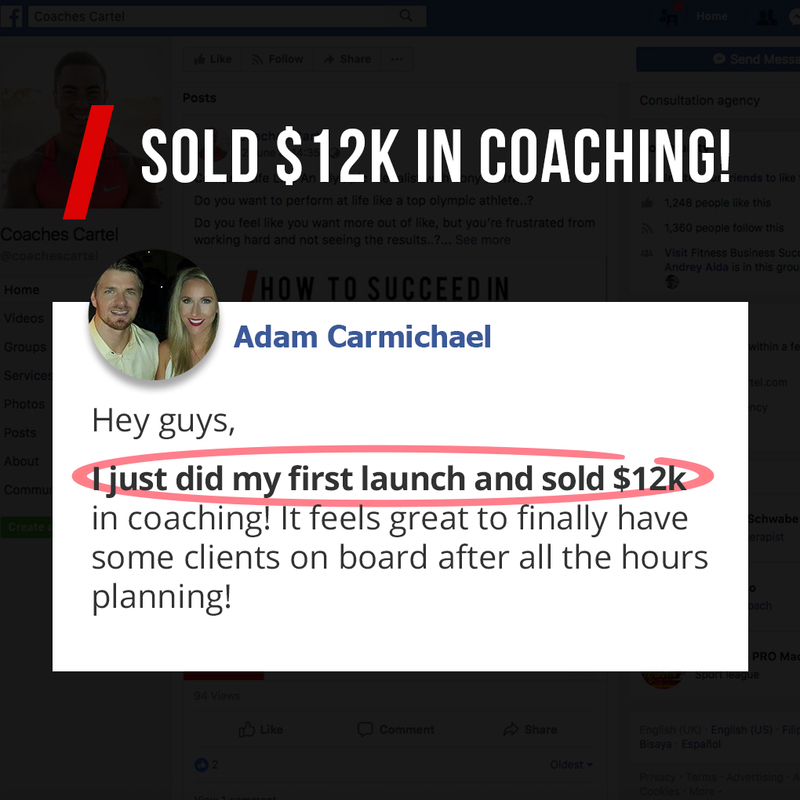 So… How does a coach, become a ‘Million Dollar Coach’? 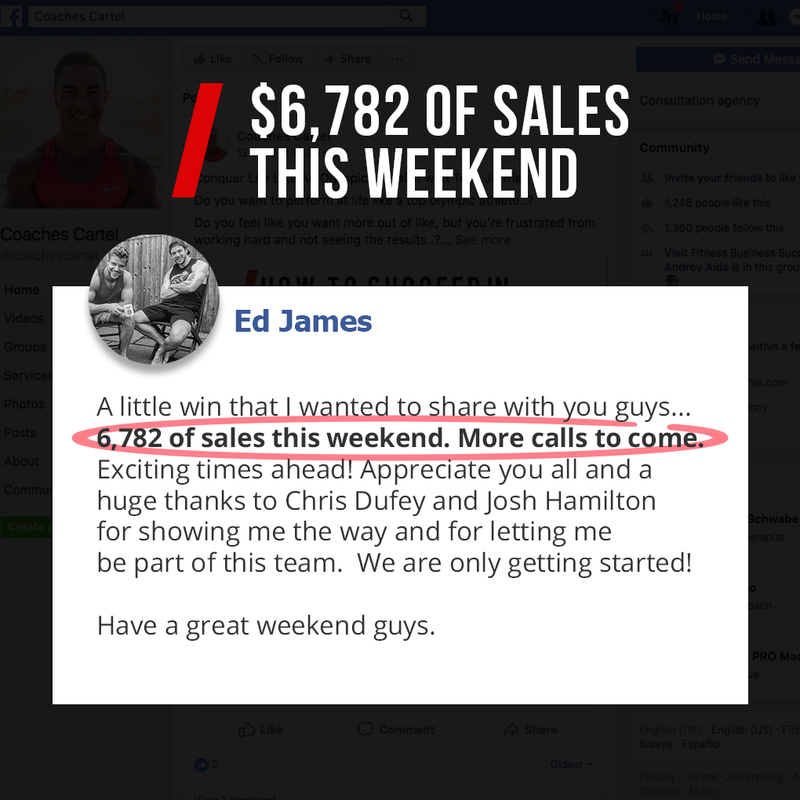 Here’s what I’ve learned as I went from a $50 an hour trainer, to $250 an hour to running a million dollar business. The best coaches don’t simple depend on willpower alone. Sure, it helps to hustle at the beginning, but there’s a limit to how much you can hustle (and there’s a good chance you reading this right now… you’re at that limit). Thispart ofstrategy part of building your dream business. What business model do I use? What should I sell? How much do I charge? How do I sell it? The top coaches have systems to tell them what to focus on… and what NOT to do. 2. HOW to execute each day without losing focus or motivation. Once you have your 3-5 key strategies in place… How do you actually get the work done, day in—day out? This is where ‘action systems’ are worth gold. There’s only so much time in a day, and you need to get the most out of it, or your competitors will beat you. My belief is the fastest approach to becoming successful is modelling the people and systems that have proven to get the results before you. Of course it won’t be exactly the same — but, why re-invent the wheel? The results can be powerful: You literally get a roadmap of exactly what to do … what to avoid … and which order to do everything. The truth is, systems allow you to take the work time you’re already doing, and multiply its effect. For example, it used to take my hours to just get a few social media posts done. Now that I have more of a sophisticated system, I get an entire months worth of social media production done in just ONE DAY. Yes — I don’t even pick up my phone to post anymore. It’s like putting rocket fuel behind the strategies that work … and intentionally ignoring the ones that don’t. Imagine Having Your EXACT Next Steps Mapped Out To 2x-5x Your Business In The Next 12-Months? How often have we gone to a conference, a workshop or even read a book. Gotten all excited by what we’ve learned … then walked away and not put it into action? Then I want to invite you to what we call a “Strategy Session”. The goal of your strategy session is simple; We go through what is working and what’s not working. Figure out the roadblocks. Figure out where you WANT to go… like what your DREAM coaching business looks like. Then we create YOUR strategy plan. Then if you want our help IMPLEMENTING your scale plan in your coaching business – we’ll tell you how that would work. If not… no big deal. You will have gotten some great value and a plan to work on yourself. After the form… you will have the chance to save your spot at a time that best works for you.